What would I do without Greek Yogurt? *Shudders* let’s not even think about that, world would be a sad sad place. Yes, I know, there’s a whole lot of stuff going on there. I mean, that’s a whole lot of ingredients to make a snack, don’t you think? 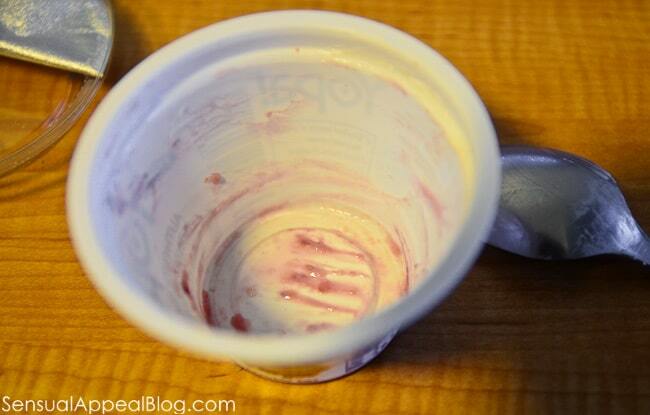 Since my breakup, I stopped eating yogurt cold turkey for a few weeks. A month or two ago, I started adding yogurt back into my diet, but having no more than one per day. Since I started eating intuitively, I realized that the parfaits I made before had way too many flavors going on at once and it was kind of a waste because I was not able to fully enjoy each flavor that was in there. There was simply too much going on! So lately, I have been eating yogurt by itself. Plain. The way it’s supposed to be eaten. Yes, I do add one or two additions to it sometimes still, but I do it so I am able to still taste ALL of the flavors that I add, rather than having a whole bunch of something with a million flavors going on at once. Taste bud overload – no more! Yopa! is a Greek Yogurt that comes with a topping of its own. 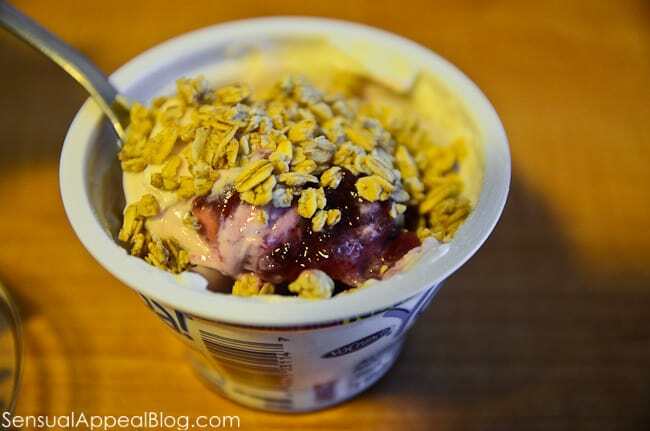 There’s a variety of granola or almonds, depending on the flavor of yogurt you pick. I really like this idea because it’s simple but fun and complex enough to be able to enjoy the snack on-the-go, without adding crazy amounts of ingredients. Plus since there are only 2-3 flavors altogether, you are able to have the fullest experience of it all. You know you are eating granola. And you know you are eating strawberry Greek Yogurt. There is no confusion. You just pick it up, open it, and eat it. 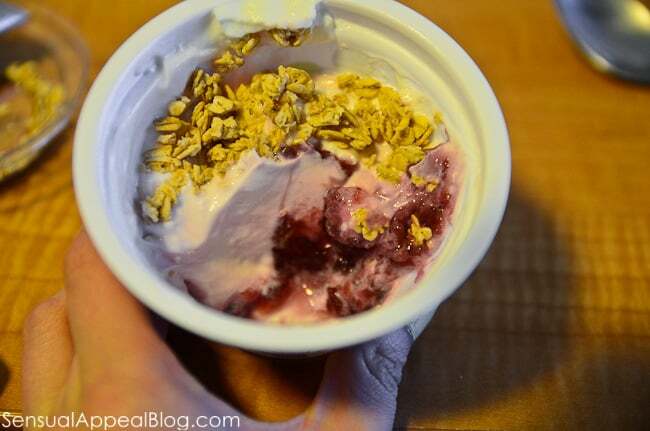 It’s a mini parfait in a second! So yes, that might be paraphrasing their words but that is exactly what I just mentioned above. There needs to be the perfect balance of all these factors to be able to have the best and fullest experience of your yogurt parfait. Speaking of balance, gold medalist Gabby Douglas is an expert, and she’s challenging you to take the Yopa! Taste Challenge where you can win a variety of prizes, including $10,000! Just “like” Yopa! on Facebook for a chance to win. I definitely overload my yogurt parfaits (and sweet bean bowls…and ice cream bowls…and, um, everything). I think it sounds like a great idea to simplify stuff – I should try that. Back to the basics! I was wondering how your were doing on your yogurt addiction. I have to say, I have gotten better on mine, but it’s hard!! Your rigth, when you don’t know what else to eat, I have a bowl of yogurt. The Yopa! yogurt sounds good. I never heard of it efore, I’ll have to check it out. I actually reallyyy like it, it’s super creamy and I like the layers. I find that once you stop eating yogurt for a couple of weeks (like I did), then you realize how you really feel after you have one. 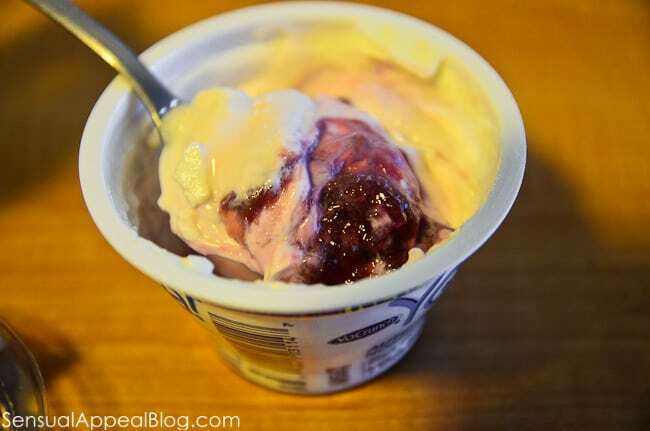 For example, whenever I have a yogurt, I feel a bit bloated and I have this weird feeling in my tummy. I think from all the yogurt overload I did last year (and before that) led me to have some kind of lactose sensitivity. I’m OBSESSED with yoghurt and making my own yoghurt mixes. This looks interesting. I loved your video! It made me hungry for some yogurt. Yours looks so decadent! 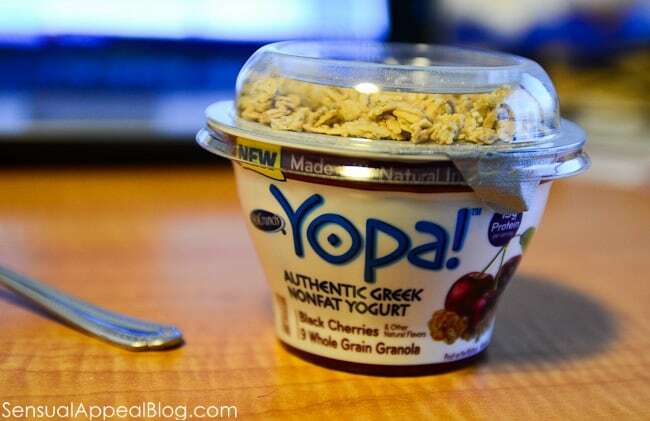 I’ve heard good things about Yopa! My only complaint is the way they show their nutritional information. I knew to check the yogurt AND the toppings but my unsuspecting co-worker who has been trying to diet, didn’t realize that what’s on the yogurt doesn’t include the topping! Oh yeah, they actually have two separate tables: one for just the yogurt and the second for the yogurt AND the (granola) topping. It confused me a little bit at first but you just gotta look at it more closely. I really like the yogurt by itself too, I like that there’s a lot of the fruit on bottom, as opposed to Chobani which has only a tiny bit. This one is also very creamy. I might actually like it more than Chobani (but shhhhh). I can’t compare it to Fage with fruit though because I’ve only had the plain nonfat Fage. Have you tried their yogurts with the fruit? Thank you for the compliment on the video 😉 Thanks for leaving a comment, dear! Hmm, I’ve never seen this brand before. 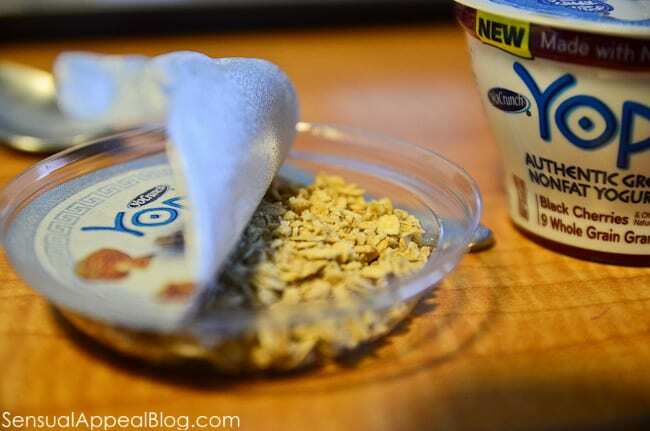 Lately I seem to have a thing with using yogurt as a “dip” with graham crackers or rice cakes. I can never seem to just eat yogurt plain…I always have to have a bit of crunch, but I try to keep things simple, because in the past I’ve definitely overdone it with the flavors and you’re totally right, you really do end up missing out on a lot of those when you overload it like that!